I have had the privilege of owning a Chihuahua for over a decade. I feel in love with her right away when I saw one was for sale at our local pet store. Chihuahua seem to hit a popularity boom when the movie, "Legally Blonde" came out and everyone wanted to be carrying a little dog their purse. I talked my mom into going and looking at her, as I knew that should would fall in love too. We got her the next day and named her "Parker." Over the years, I gave her a nickname that has stuck (Che-Bee), and I often found myself calling her that over her given name. Chihuahuas are cuddly. If you become "their person" they will have no problem sleeping with you at night or resting beside you during a nap. They bark, but not ridiculously. I loved being able to pick them up and take them places with ease. I didn't have to break my back getting them in the car if I decided to take our dog on a quick errand to town. The grooming was pretty minimal, as we got a short-haired chihuahua that didn't require too much brushing. I loved that there were little poops, and for the most part, our dog was pretty easy to train. Finally, she is a pretty good family (with older children) dog. She loves those who she sees the most of (and who also give her the most treats). Owning a chihuahua is not for everyone though. I would not recommend one with very young children. 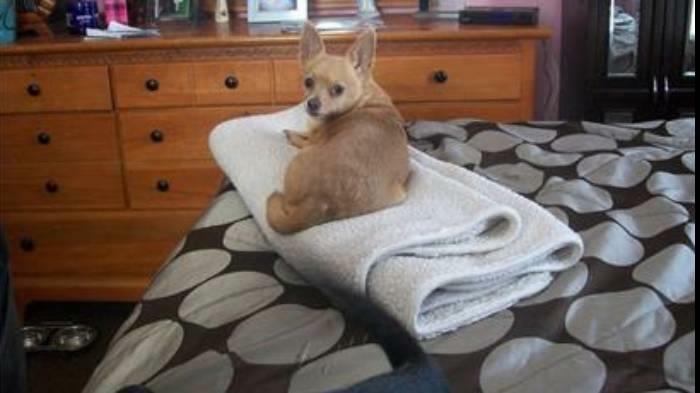 Chihuahuas like more leisure and relaxation. Children can be energetic and busy; Chihuahuas have no interest in playing with them or fetching a toy that is thrown their way. Kids and chihuahuas are a mix that I personally would not do.They can get under your feet, and because they can be tiny, you may find yourself tripping over them. This is minor, but something to note if you are thinking of getting one. If my Chihuahua had to choose between sleeping or coming down to greet me when I got home, I think she would choose to sleep. They are much more independent dogs, and any love they show they seem to do when 'they' want to do it. It's all about them sometimes...not you. To summarize, I recommend a Chihuahua for any family with older kids, a couple or just a singleton that needs a little buddy to take around town. They can be little love bugs, and if you find the right one, you soon realize that their heart is much bigger than their size.